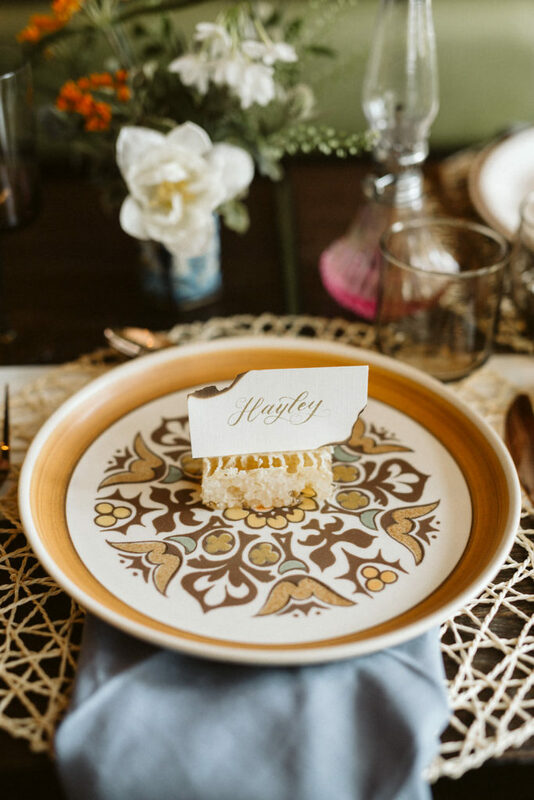 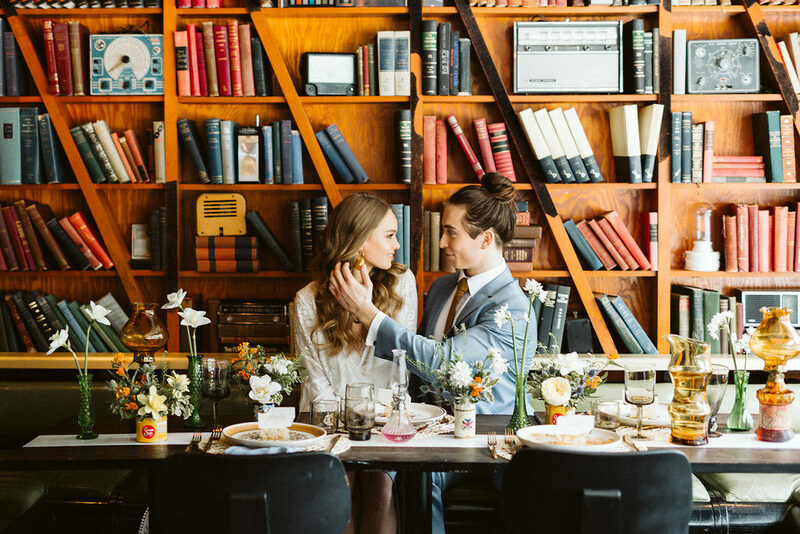 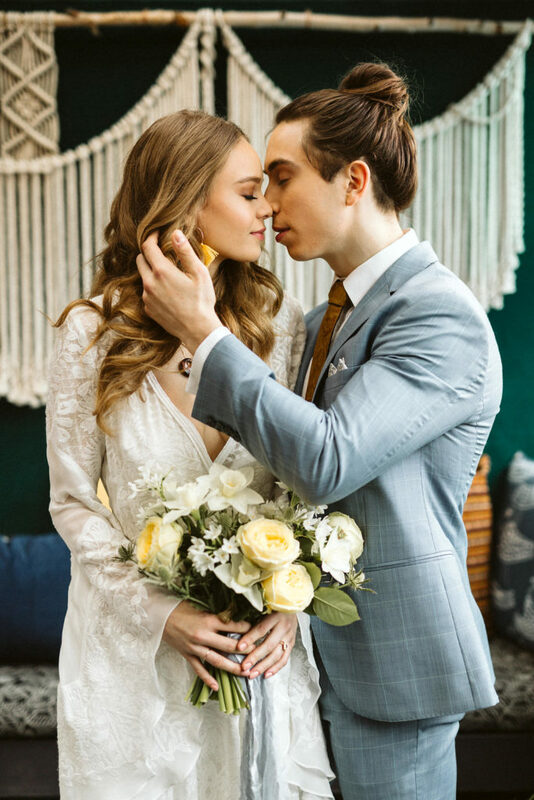 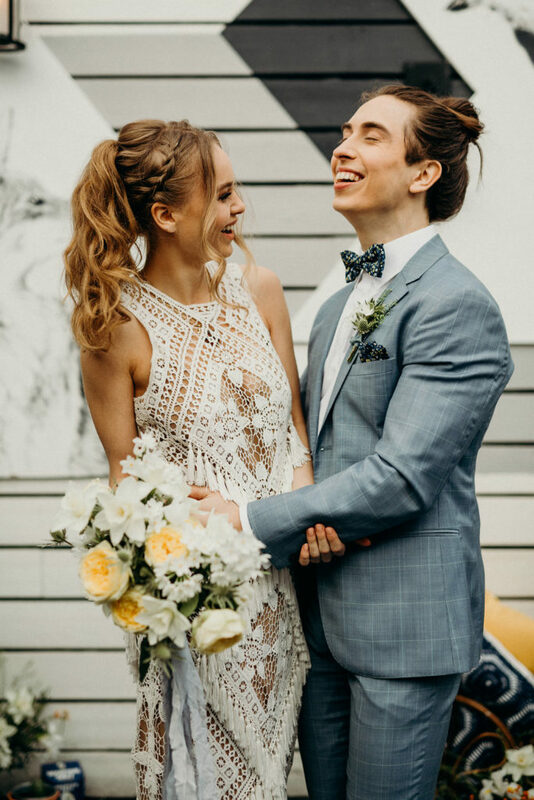 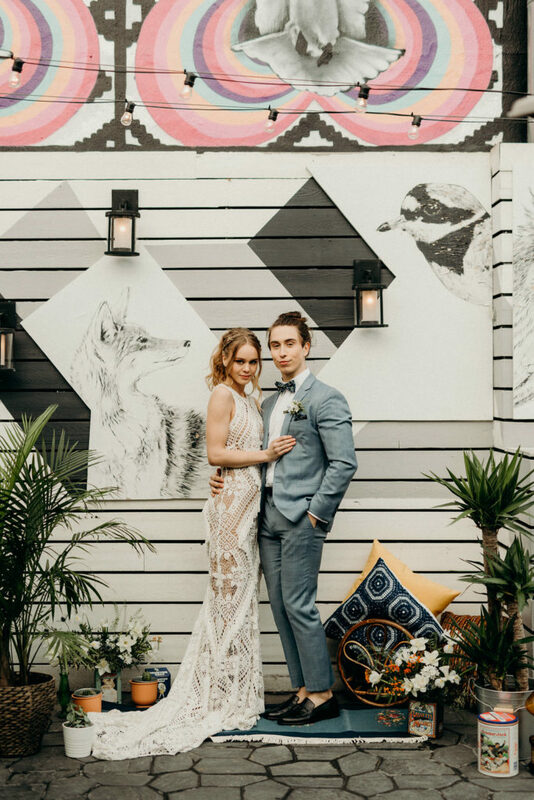 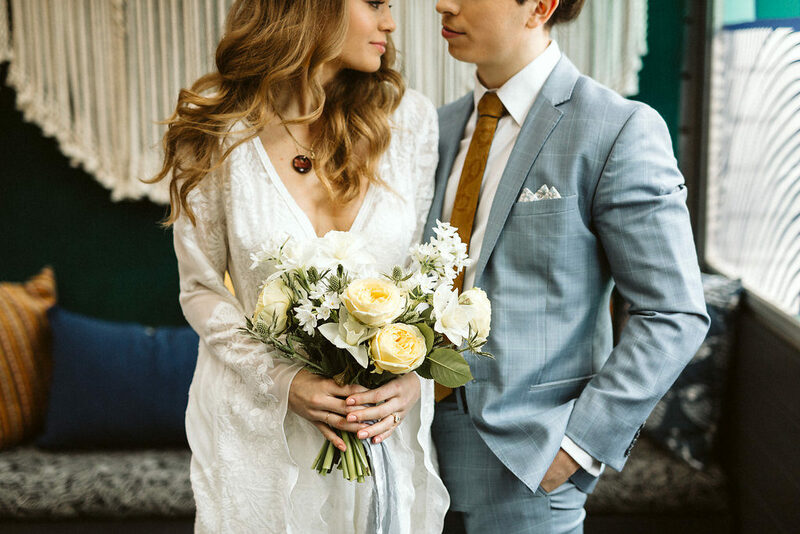 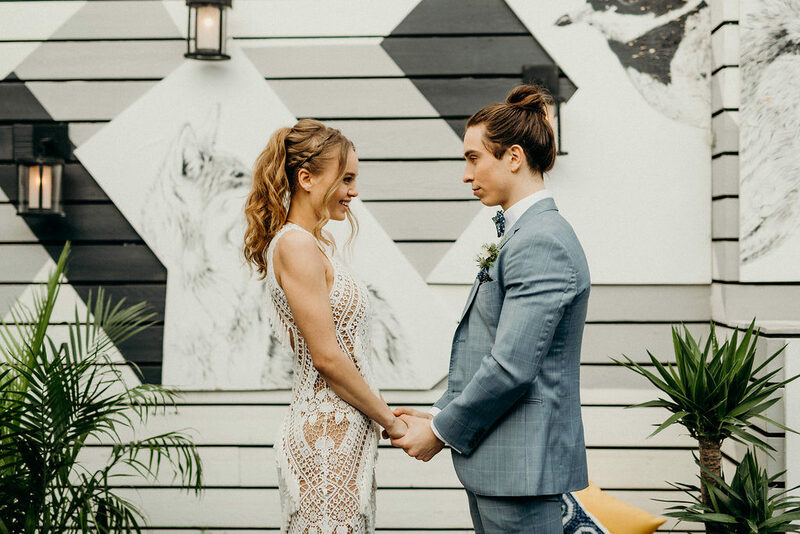 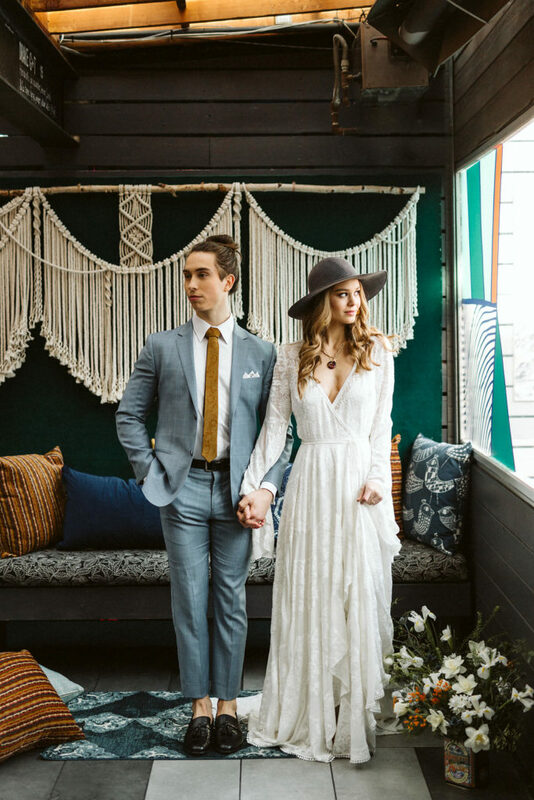 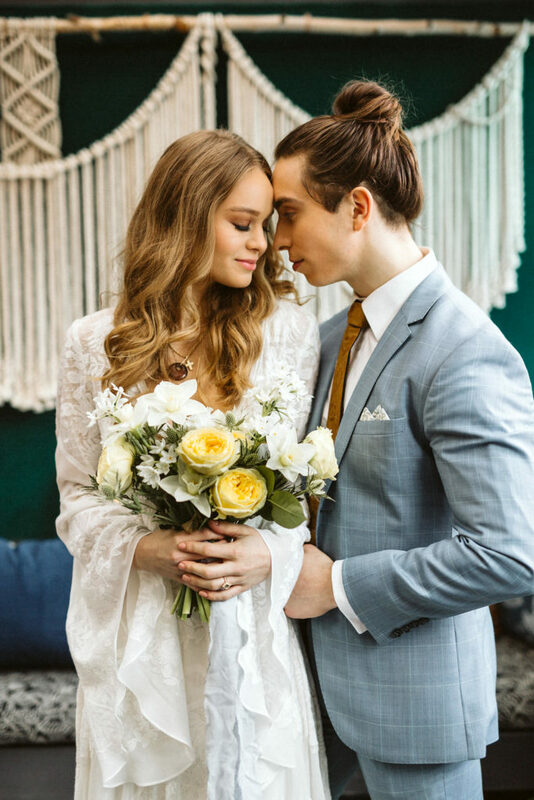 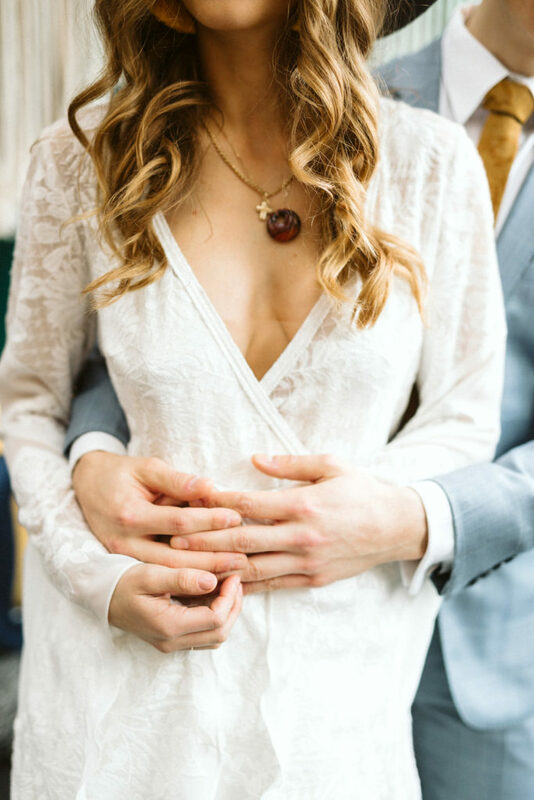 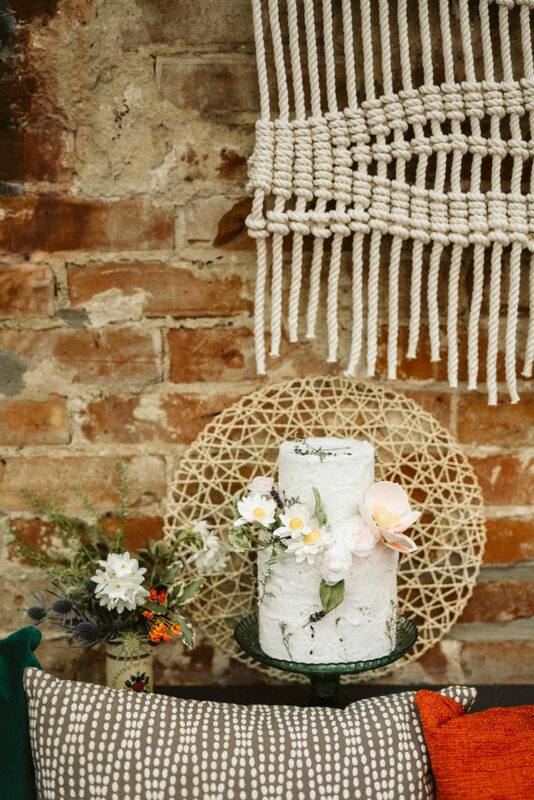 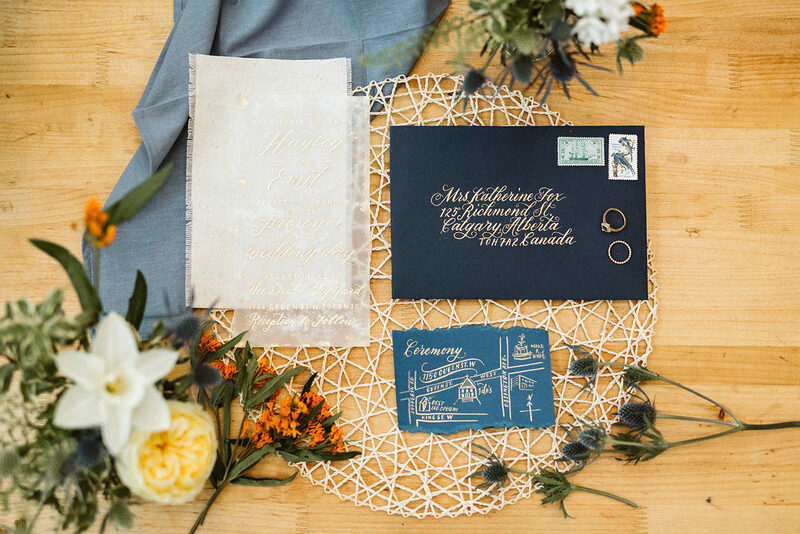 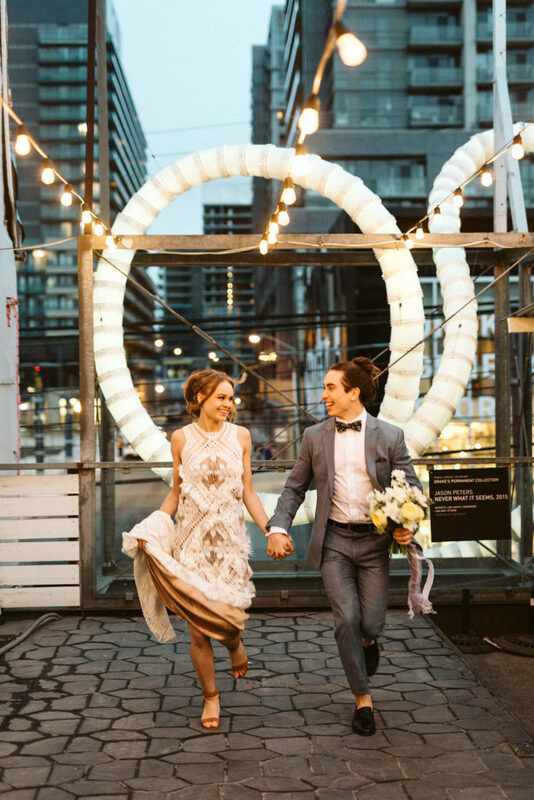 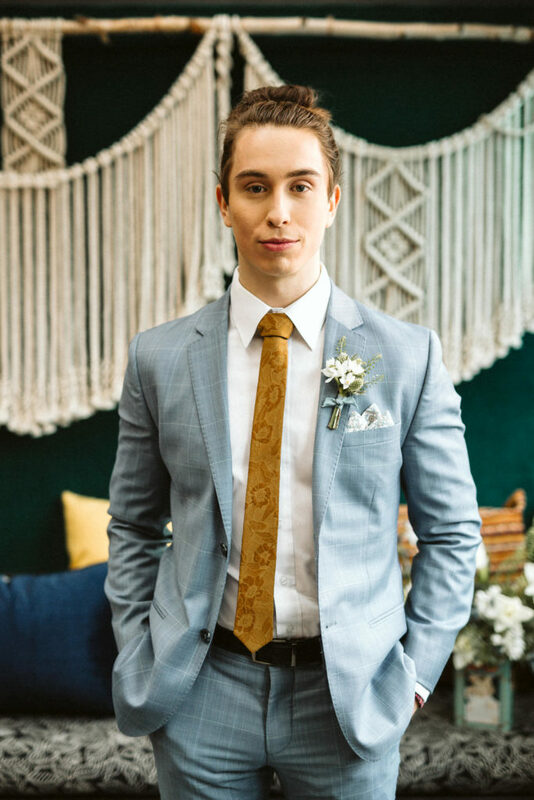 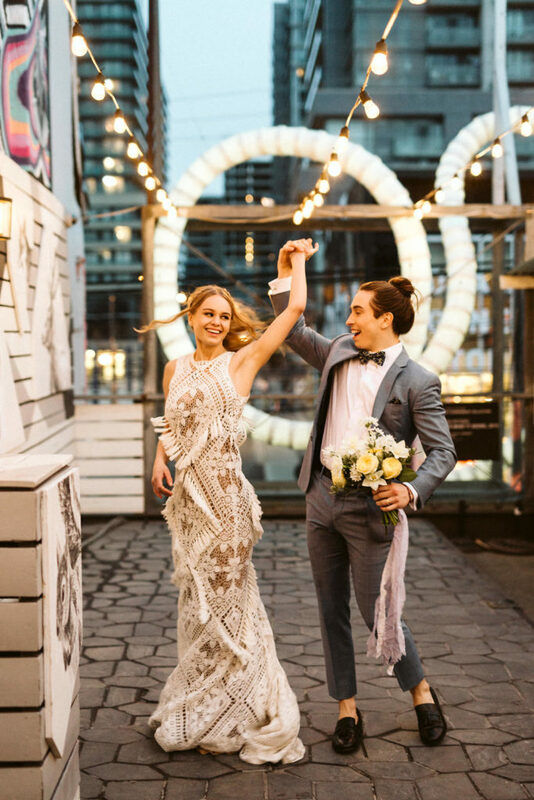 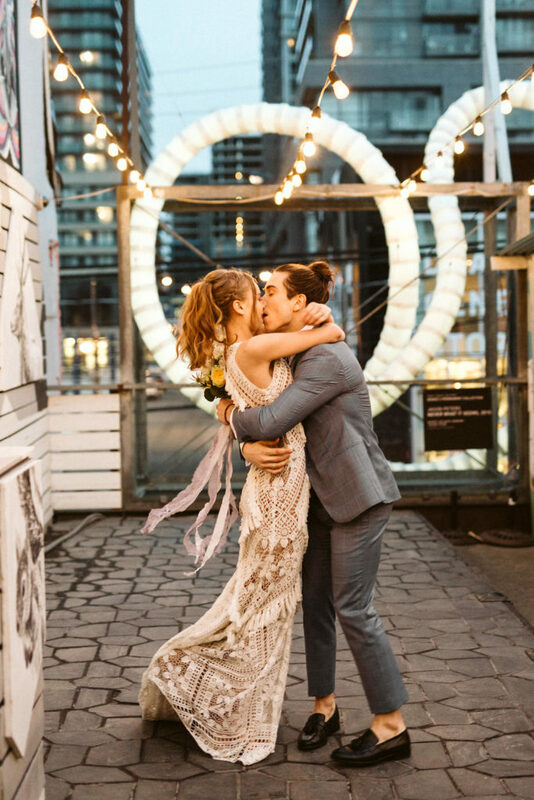 This styled shoot at The Drake Hotel in Toronto, ON, was all about enjoying 70’s inspired textures, palettes and sunshine-y vibes. 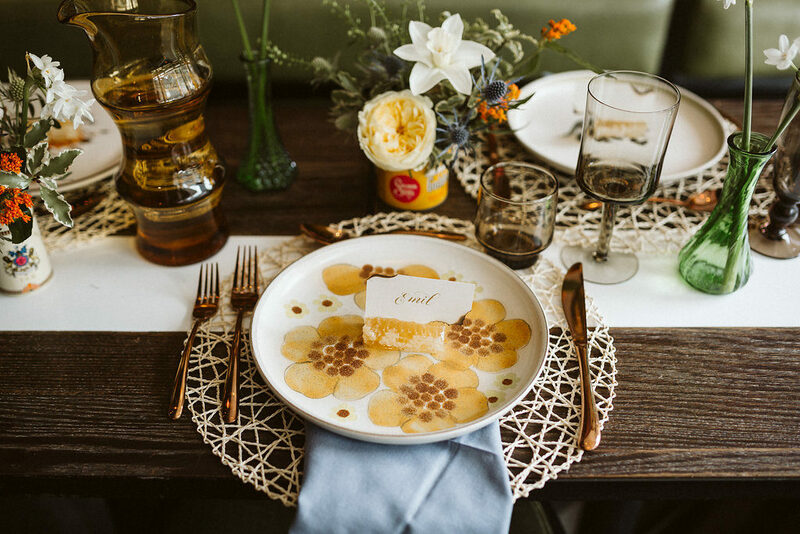 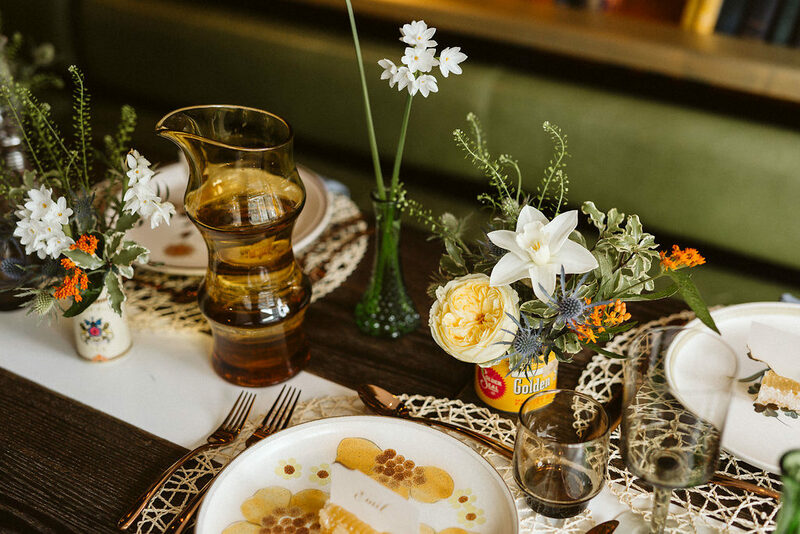 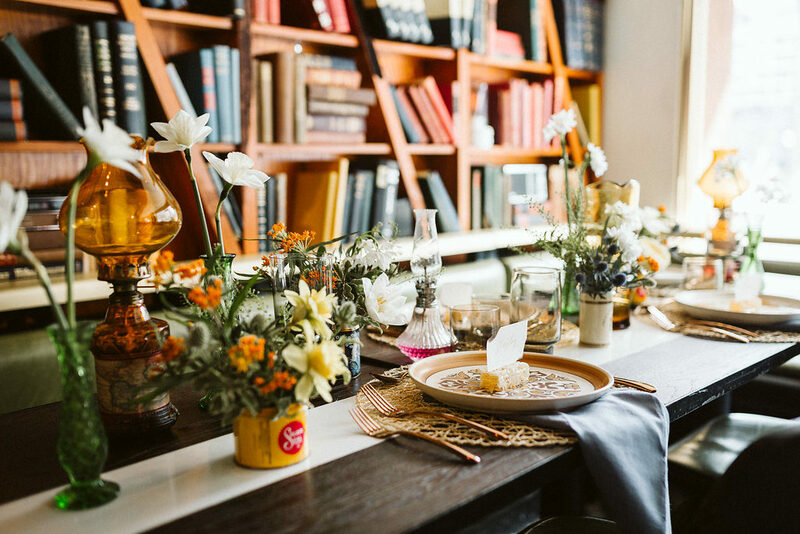 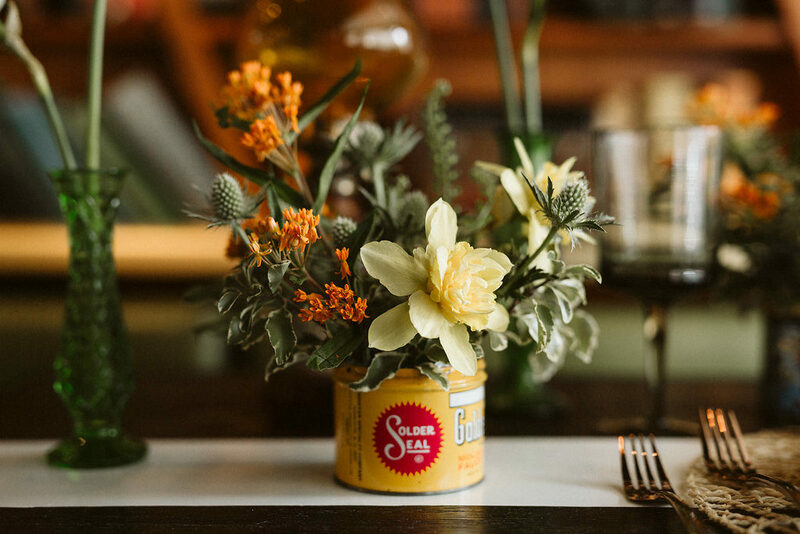 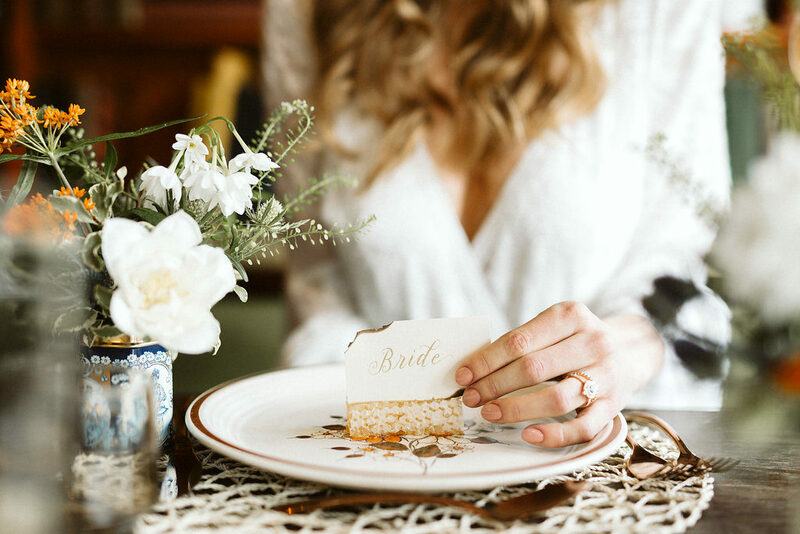 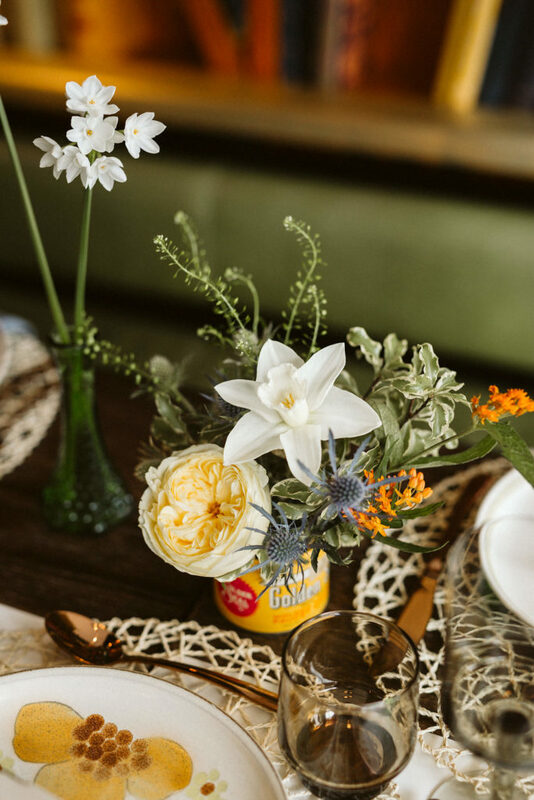 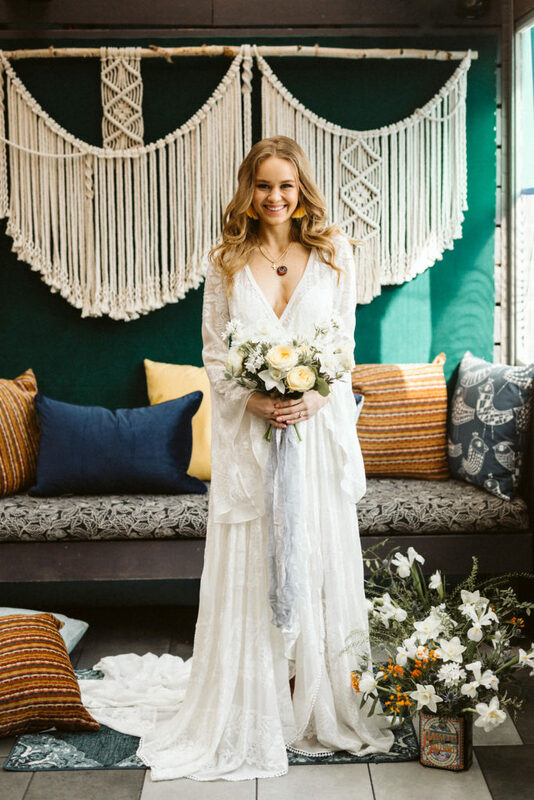 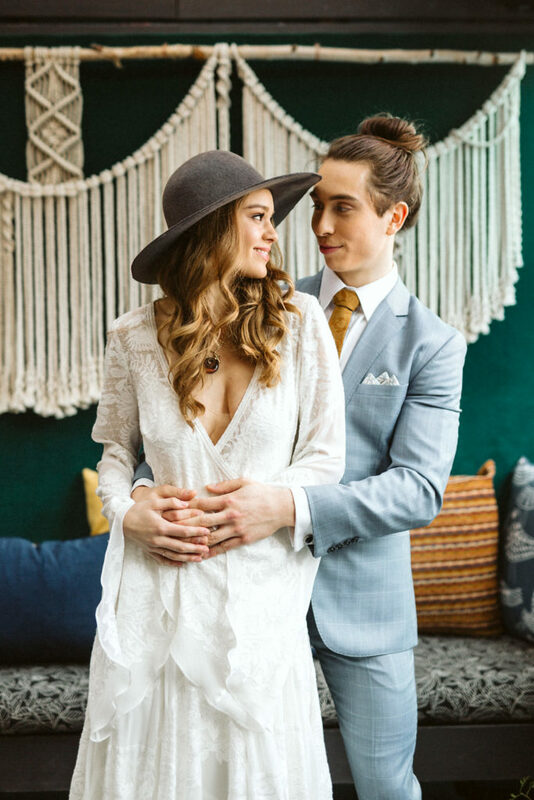 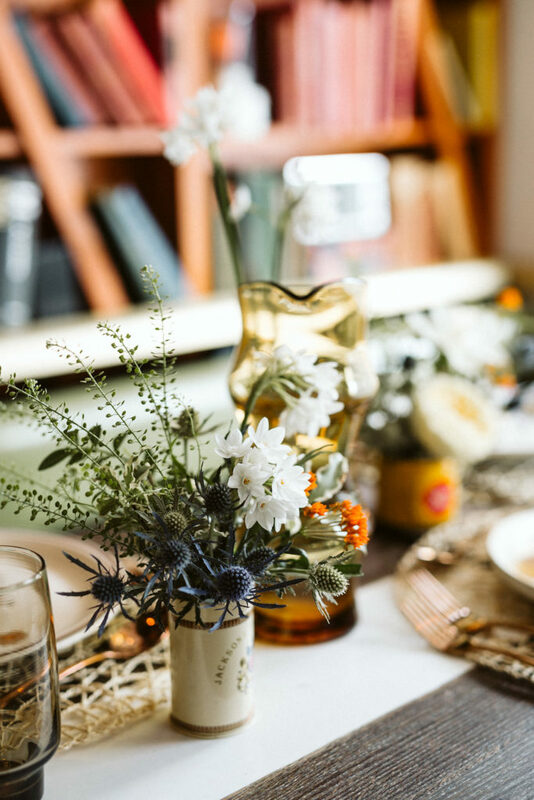 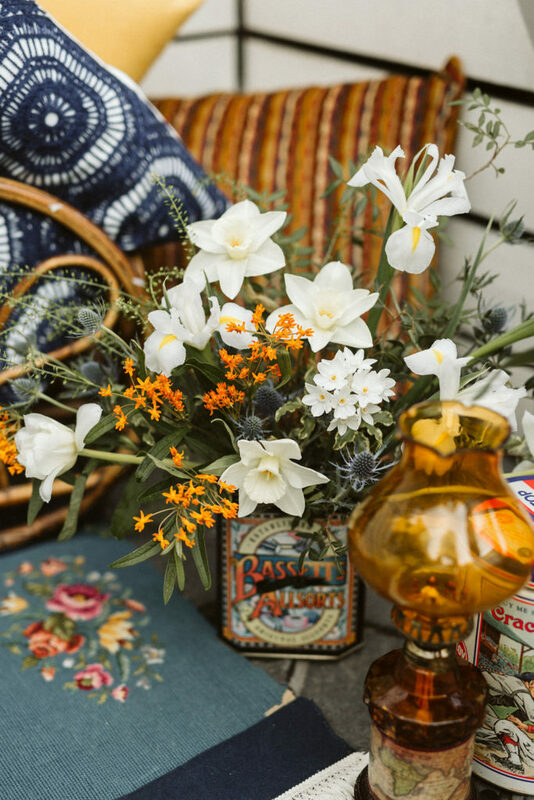 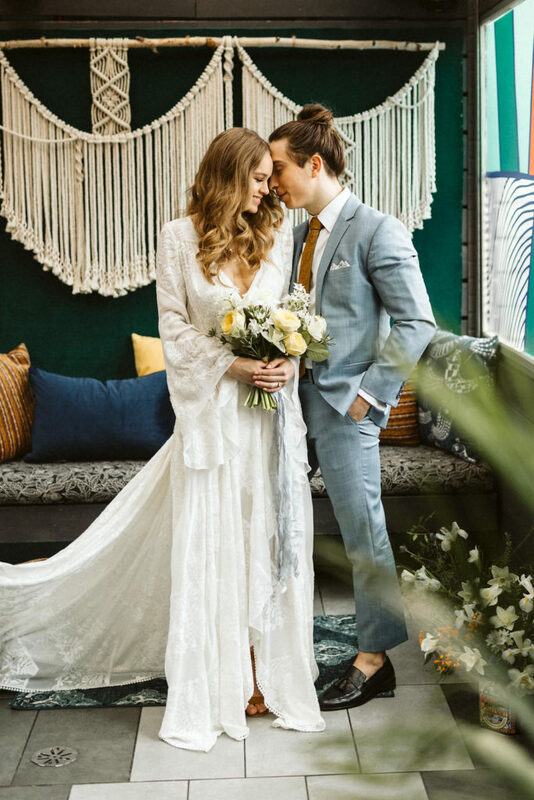 From vintage table settings, and vessels – both traditional and unconventional – to long loose locks, warm golds and oranges and off-white macramé – we went all in on 70’s inspired vibes. 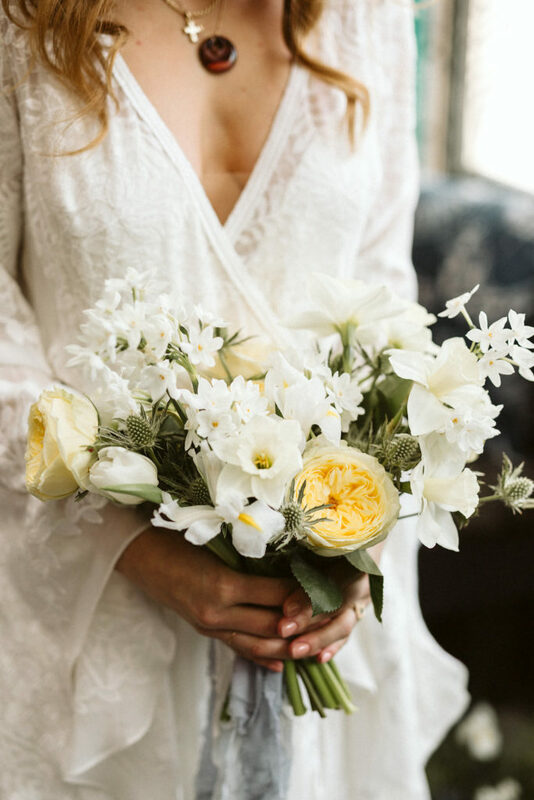 I took the opportunity to put together a petite bouquet in whites, creams, and butter yellow without any of the added bulk of foliage. 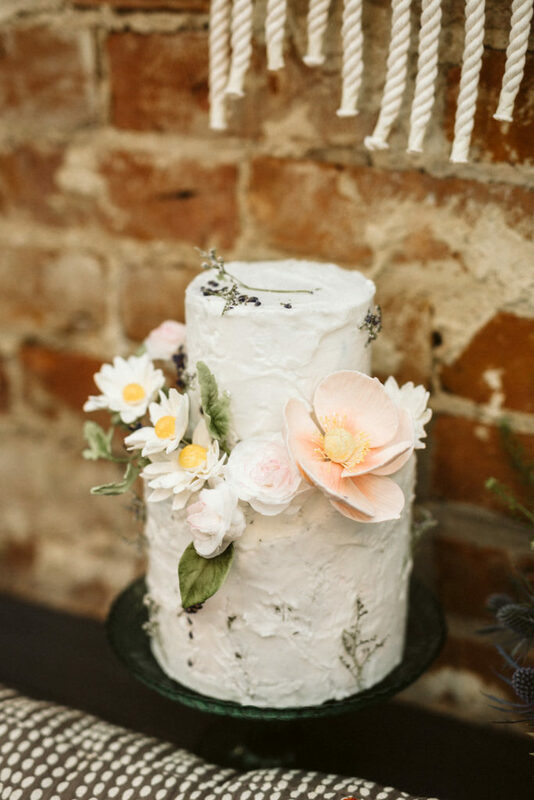 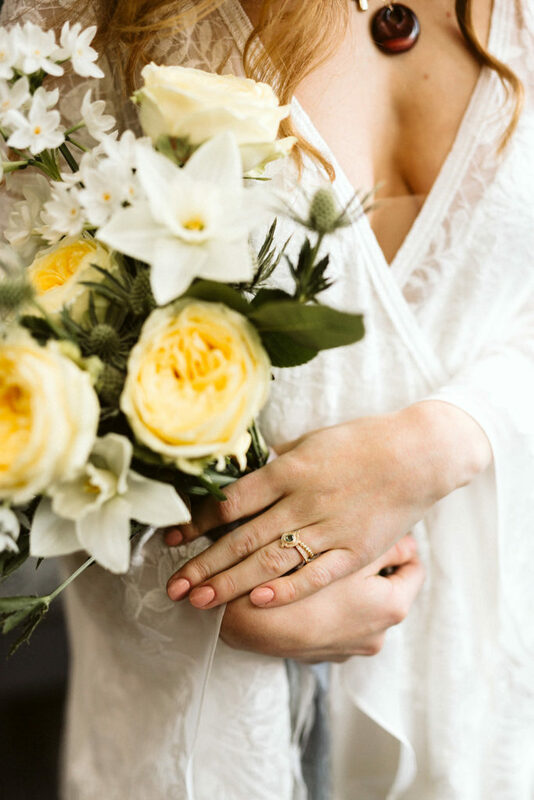 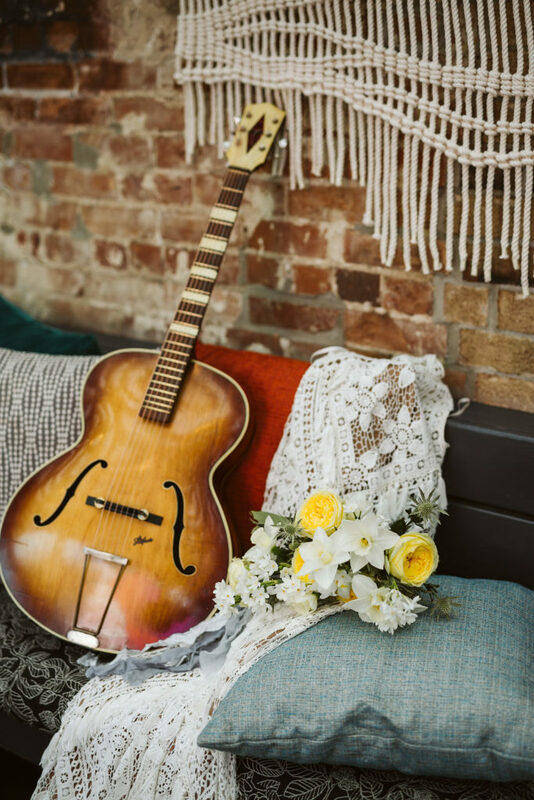 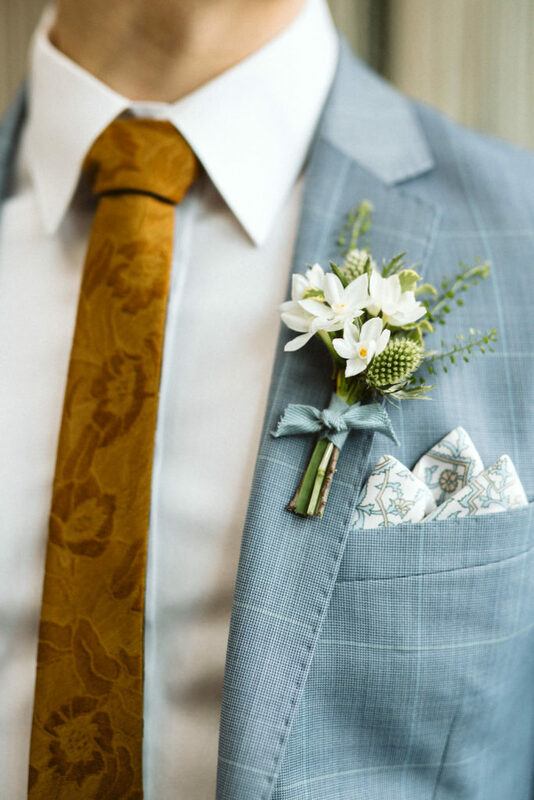 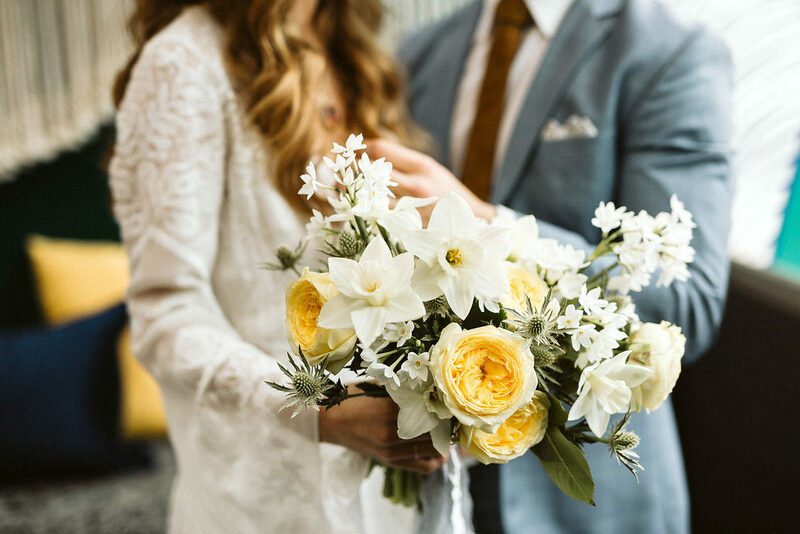 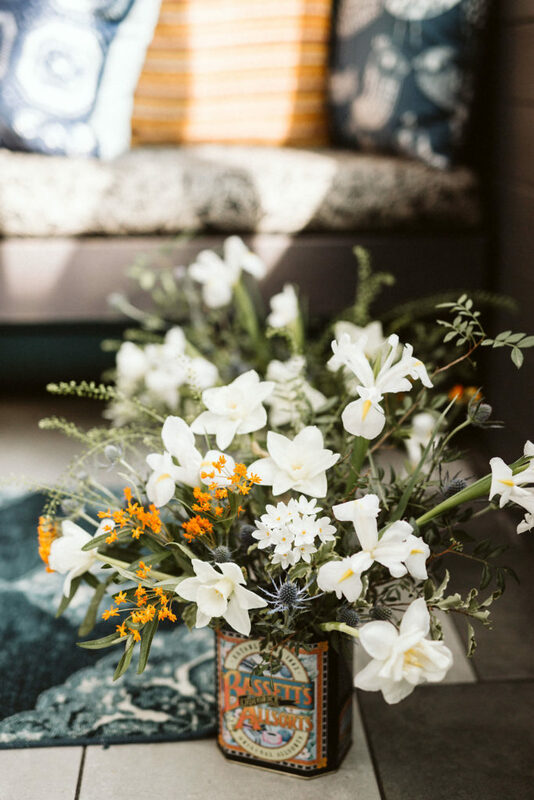 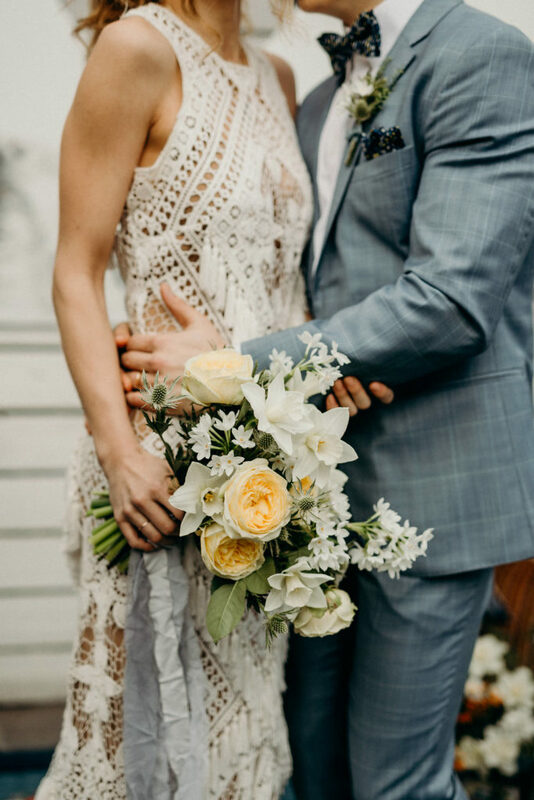 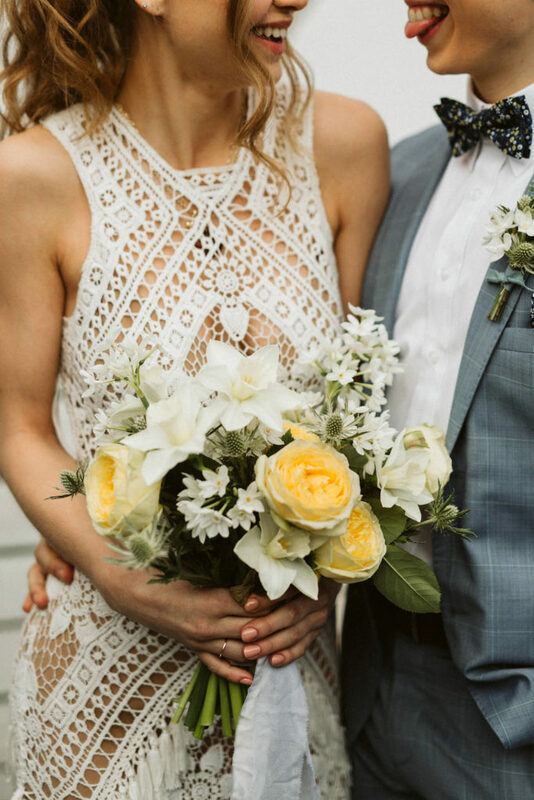 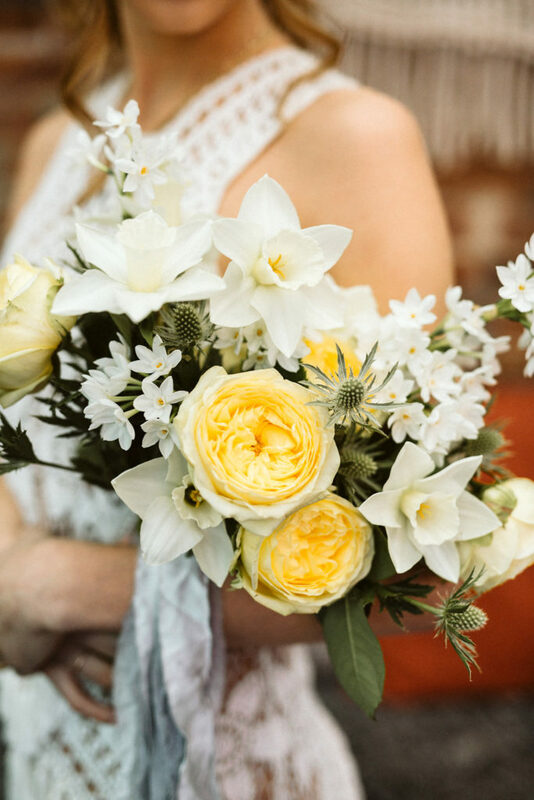 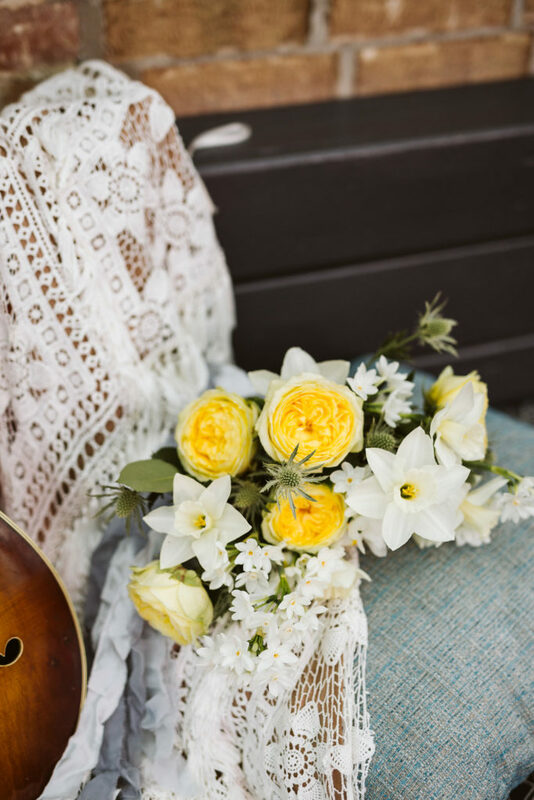 This style is perfect for a petite bride who loves flowers, wants to carry something full of premium blooms but doesn’t want to feel overwhelmed or overshadowed by her bouquet. 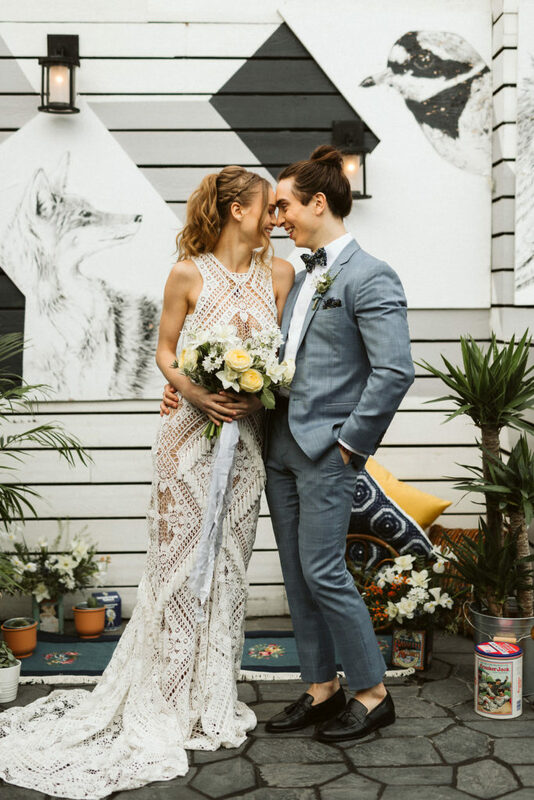 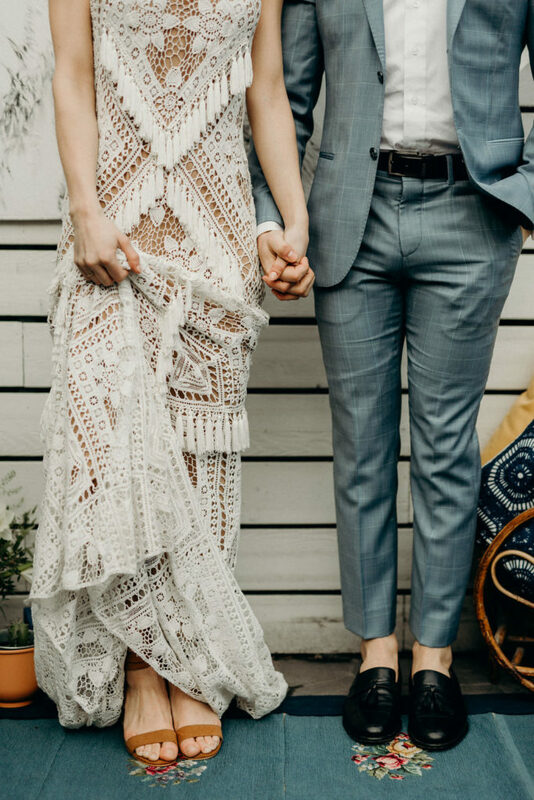 Lea Marcucci got behind the camera and captured the effervescent nature of this real-life model couple – you can tell the love there is real. 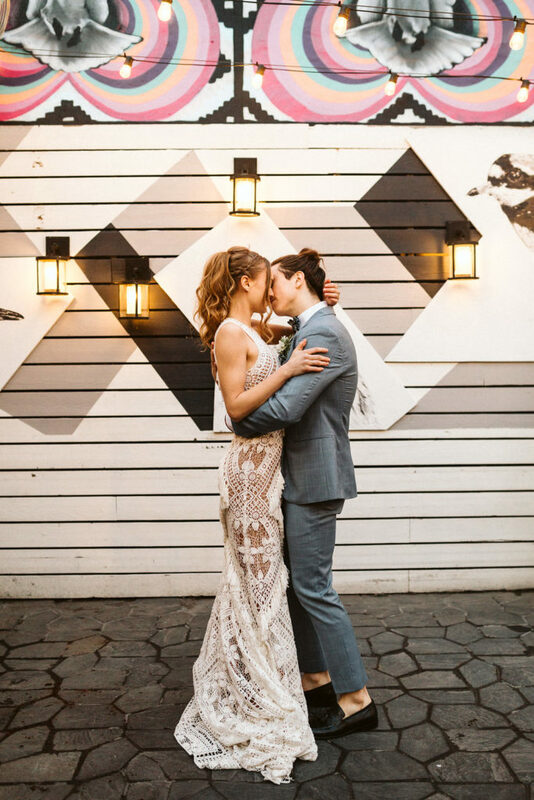 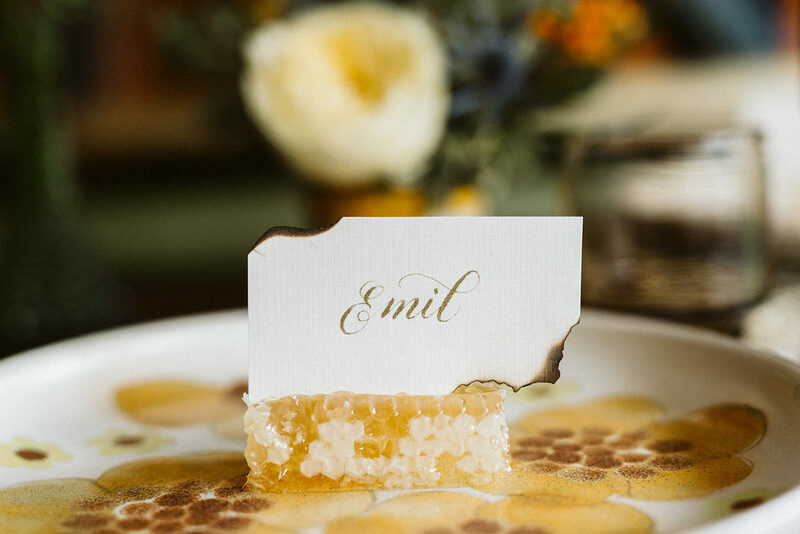 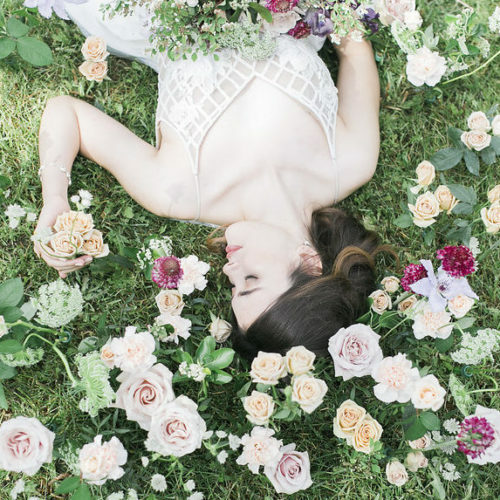 Featured on Junebug Weddings.